Note from Becky: Shari’s Berries emailed us a link to their fun infographic and provided the blog post below. We were not compensated for this; I just thought the infographic would be interesting to you, our readers. It’s the holiday season, and Christmas traditions are in full swing—from singing carols to decorating the tree. Another holiday favourite for many is reading Christmas books and enjoying baked goods. So why not combine the two? That’s why Shari’s Berries has paired 12 timeless holiday reads with 12 delicious winter sweets. Whether you enjoy a classic Nutcracker novel with a sugar plum pie or travel to the North Pole with The Polar Express and white chocolate peppermint fudge, these book and dessert pairings are the ultimate holiday treat! Love it or hate it, fruitcake is a holiday staple. I’m not one for the overly dense, mass-produced fruitcakes with the waxy neon red and green “fruit” inside, but I do enjoy a nice homemade fruitcake that contains real dried fruit. Mrs. Claus has few recipes in her Cookbook, such as Applesauce Fruitcake, Old Fashioned Light Fruitcake, and Mini Christmas Puddings. 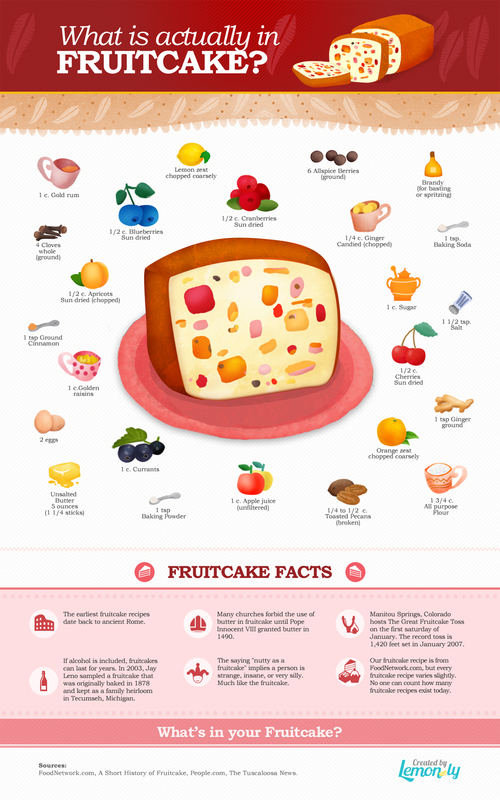 For more information about this famous [or perhaps infamous] holiday treat, along with some fruitcake fun facts, check out the infographic below! Surely you all can name your favorite cookie as well as your favorite drink, but have you ever thought of serving a perfectly paired wine with those baked treats? Let this infographic be your guide, and the next time you’re wondering what beverage will complement your freshly baked snickerdoodles, you’ll know that Sauvignon Blanc is just what the sommelier ordered. Take a closer look at the image below to discover more choice combinations. What cookies will you be making this Christmas? Sugar cookies? Shortbread? Gingerbread? Something else? Let me know in the comments below! Between now and the end of the year, I’m sure many of you will be going to Christmas parties with friends and family—or perhaps hosting a holiday gathering yourself. A couple of days ago, I gave you some tips on how to put together a fabulous cheese board for your fête, and today I bring to you six seasonal drinks for a flavorful Christmas party. 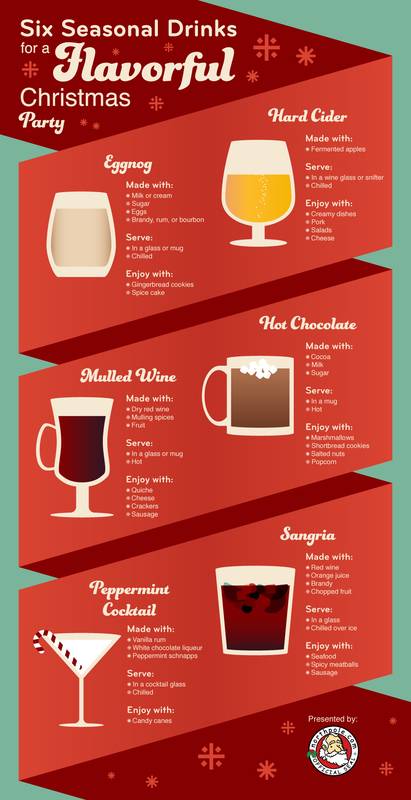 What’s your preferred holiday beverage? Let us know in the comments! Or share on social media using the buttons below!